Work is supposed to be fun and games at Punch Bowl Social. The company calls its experiential food and beverage brand a “delectable collection of unequaled music, food, games, and beverages.” While in Milwaukee for the grand opening of Punch Bowl’s 16th location in the U.S., the V.P. of Marketing, Scott Sibley, chatted with #Brandstorm about its unique concept. How do you go about getting your products in shopping feeds? On this episode of #Brandstorm, meet the co-founder and chief architect of Feedonomics, an advanced shopping feed management system that easily lets you import, optimize, and feed products to multiple channels like Google Shopping, Amazon, eBay and just about anywhere else. “Know Your Customer.” It’s the mantra of GlobalWebIndex (GWI), a company that creates and administers the world’s largest survey on the digital consumer, representing 2.5 billion consumers in 45 countries. On this episode of #Brandstorm, we talk to Chris Hopkins, a sales development representative at GWI, about how to use its massive database to build out consumer profiles. What do you do when you work in tourism and realize your state is dead last in places people want to visit? You come up with a new campaign! Nebraska revealed their state’s new slogan back in October. It immediately went viral for its honesty and self-deprecating humor. 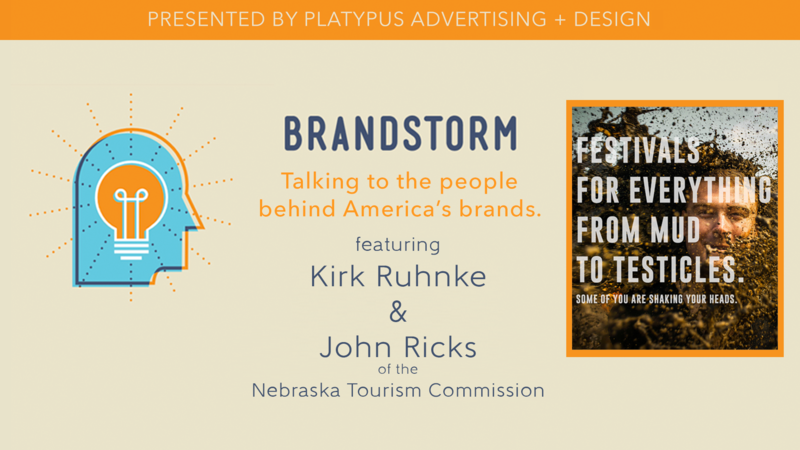 In this episode of #Brandstorm, we talk to the Nebraska Tourism Commission’s Executive Director, John Ricks, and the campaign’s Creative Director, Kirk Ruhnke, about its origins.